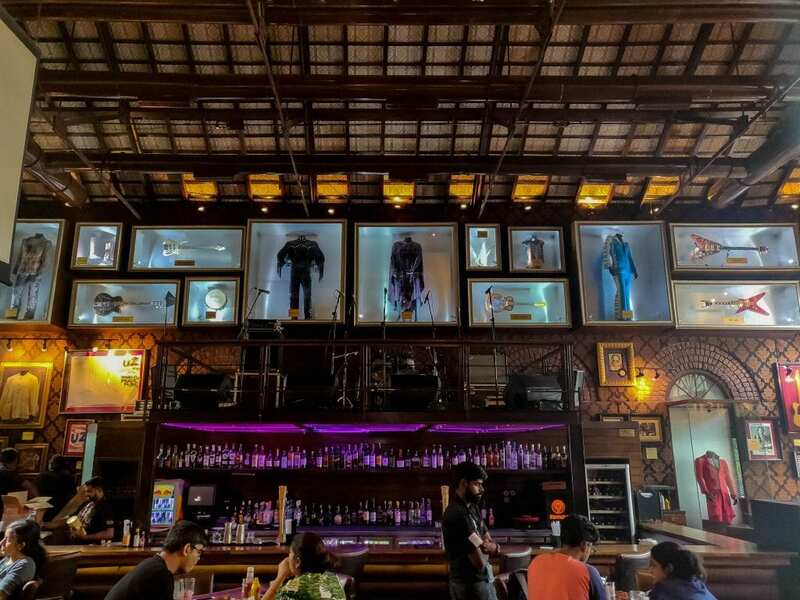 Hard Rock Cafe is a chain of themed resto-bars which has more than 200 outlets in 75 countries. Established on December 29, 2007, located on St. Marks Road is one of the most cautiously and classily reinstated heritage buildings in the city which belonged to book society. The more I say, the less would I do justice to the feel & the atmosphere of this artistic place. A stone building with its high ceiling and brick walls. 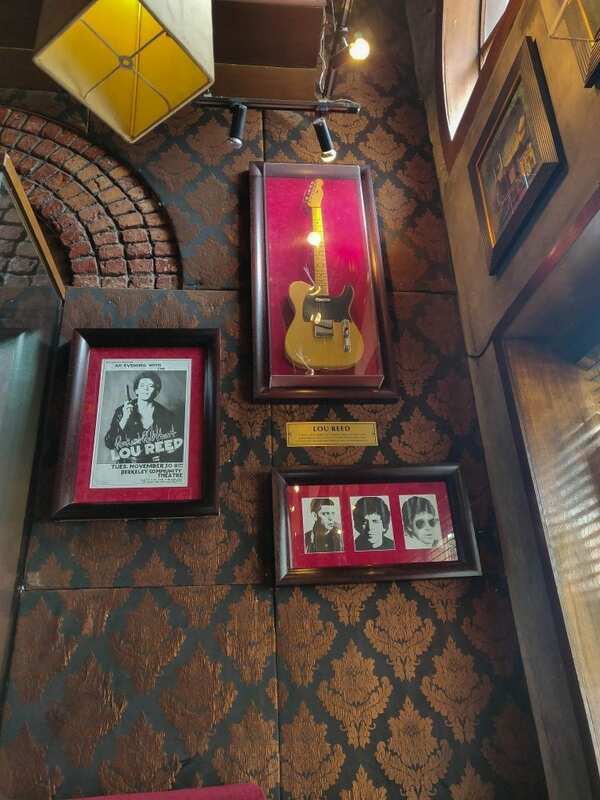 The walls are covered with memorabilia from music’s famous artists and it also includes items from the rock legends. They even have a goodies store inside. The café is divided into three distinct sections dining, a bar, and an open courtyard. On the top of the bar, they have a floor where the live bands perform. We were there as part of Mexican food festival which started on 15th Jul’18 and is on till 16th September’18. We tried a number of different types of Mexican food and drinks. 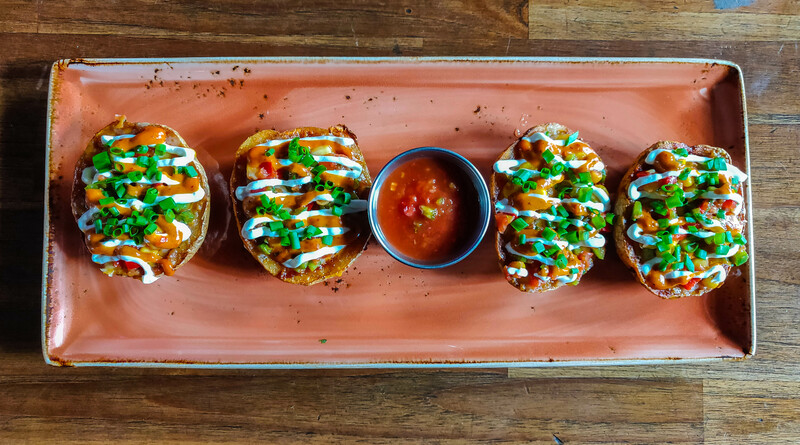 For starters we settled for Loaded Southwest Potato Skins, Tex-Mex Spices Chargrilled Chicken Skewers followed by Famous Wild West Nachos topped with Chipotle Grilled Chicken. In drinks first, we tried Cranberry & Lychee Margarita, Troublemaker and followed by Amigo. 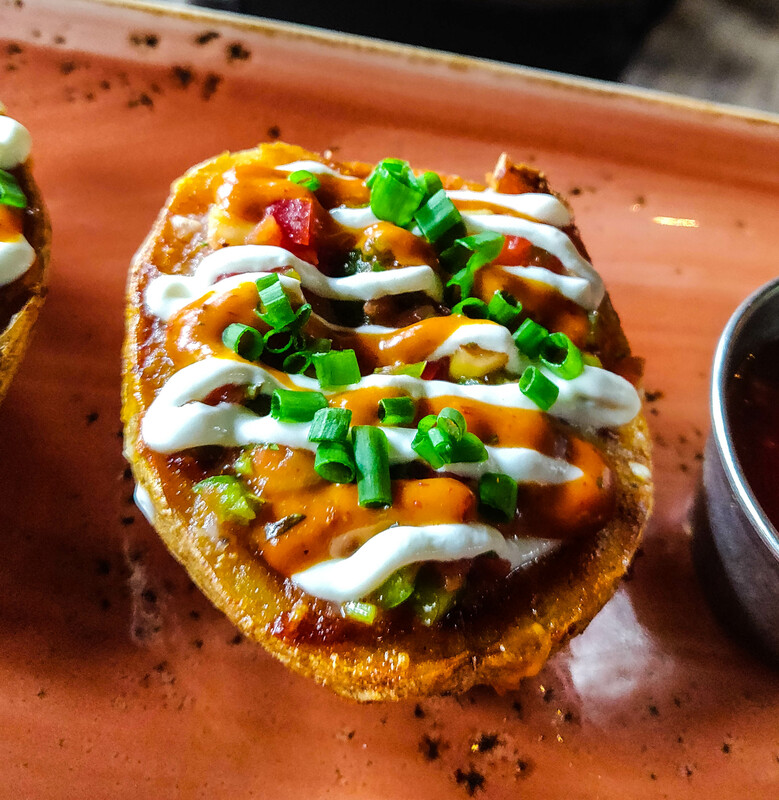 Loaded Southwest Potato Skins – Looked yummy and tasted delicious. 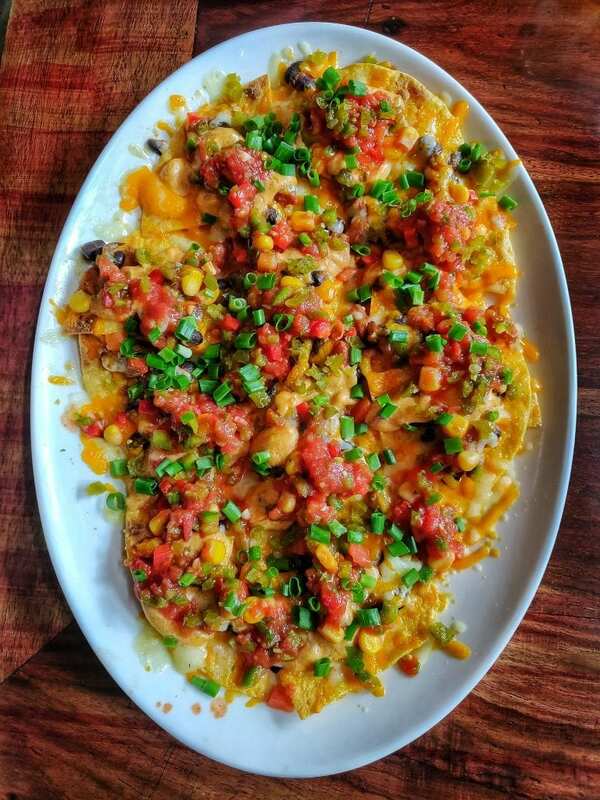 In these, the baked skins are topped with chipotle, spicy bean mix, salsa and mixed cheese smothered with southwest sauce and cream. You could feel each of the ingredients flavor in your mouth. 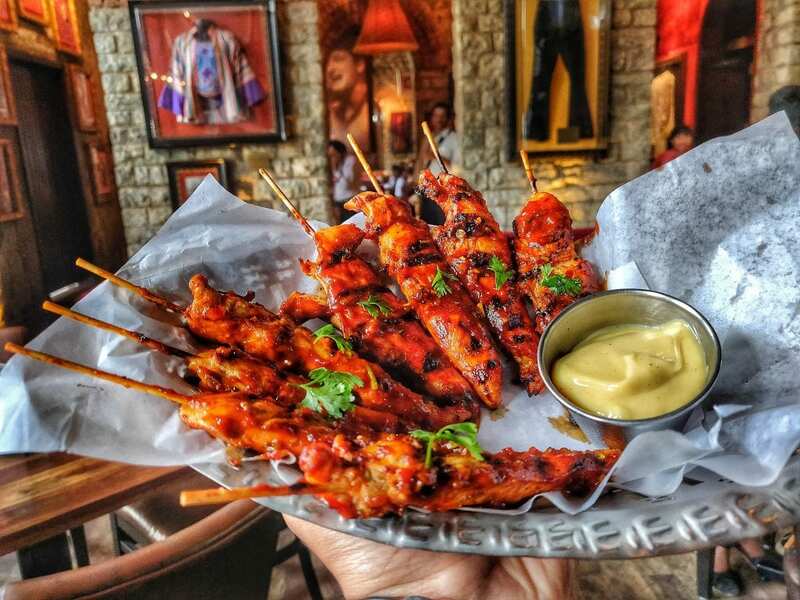 Tex-Mex Spices Chargrilled Chicken Skewers – Chargrilled chicken dowsed with tex-mex spice and tangy marinate served with Honey mustard dip. The chicken was very well marinated, it was soft, succulent and well grilled. The tanginess enhanced the taste of the dish. 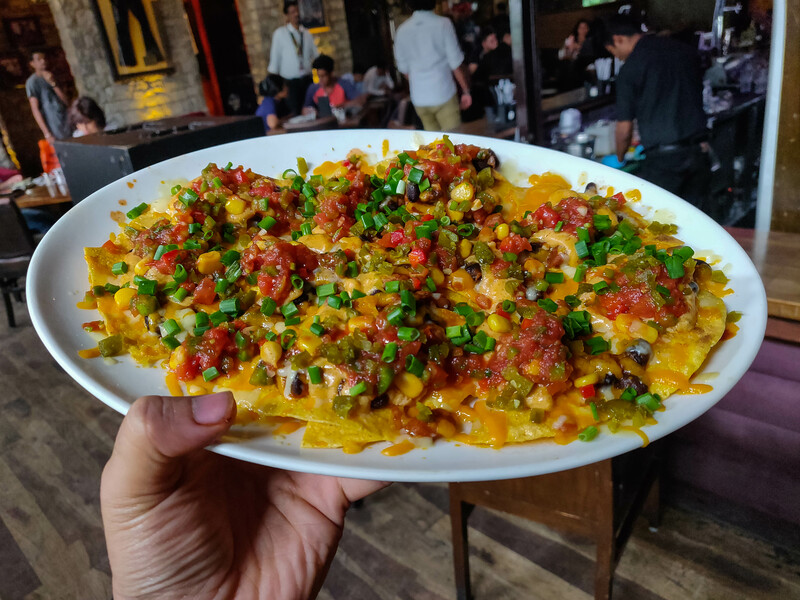 Famous Wild West Nachos – One of the best authentic nachos I had. 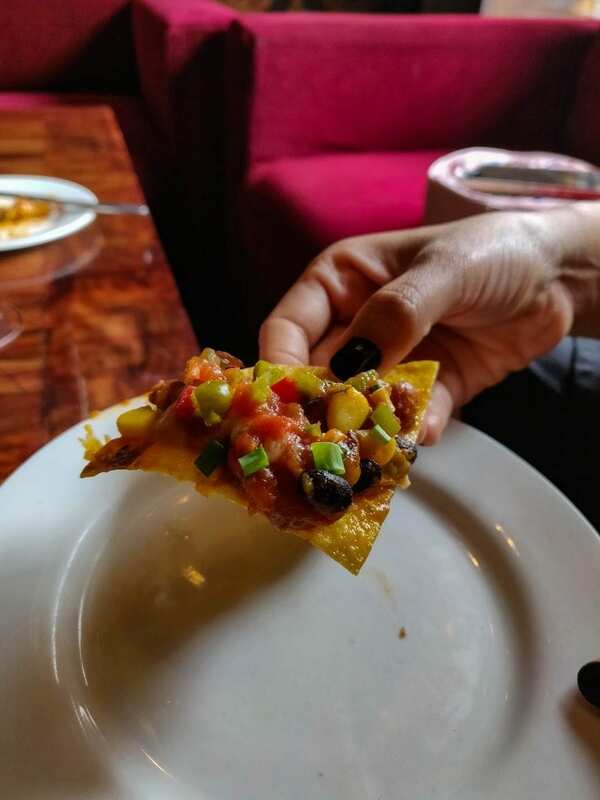 The tortilla chips were made of pure corn, it was yellow in color not white like other restaurants. The portion is also quite enormous. The nachos did not get soggy at all by the time we finished it. 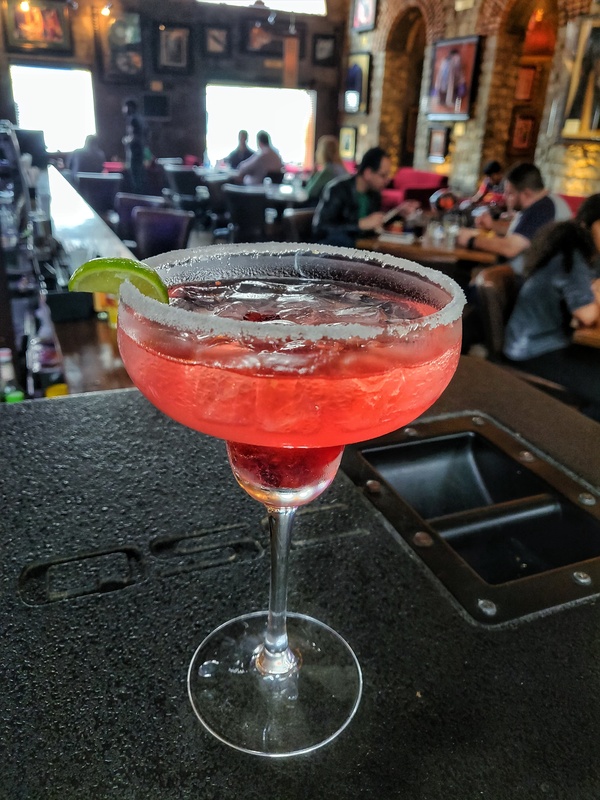 Cranberry & Lychee Margarita – Lime juice, Tequila, Lychee and dried cranberries, the cranberries added a crunchiness to the drink. The tanginess of lime, the bitter element of tequila and the sweetness of Lychee and cranberries was flavorsome. Troublemaker – A very new kind of drink, I have tasted this anywhere before. 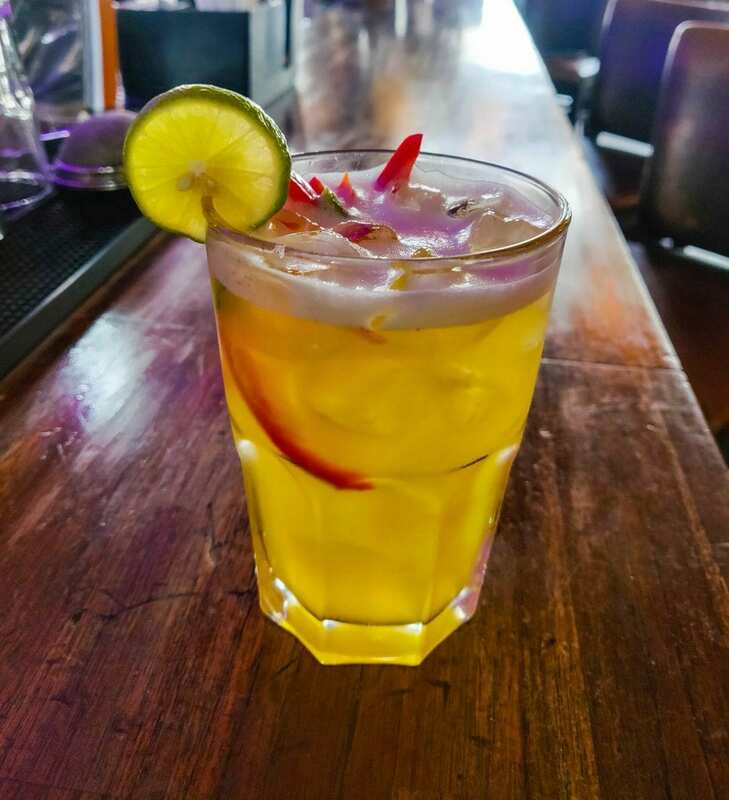 It is a blend of tequila, lime juices, red & green bell peppers mixed with Chipotle puree which consists of dried pineapple, chipotle and a smoky liquid. When you drink it, it will give a barbeque tasted, as if you had a BBQ’d food. 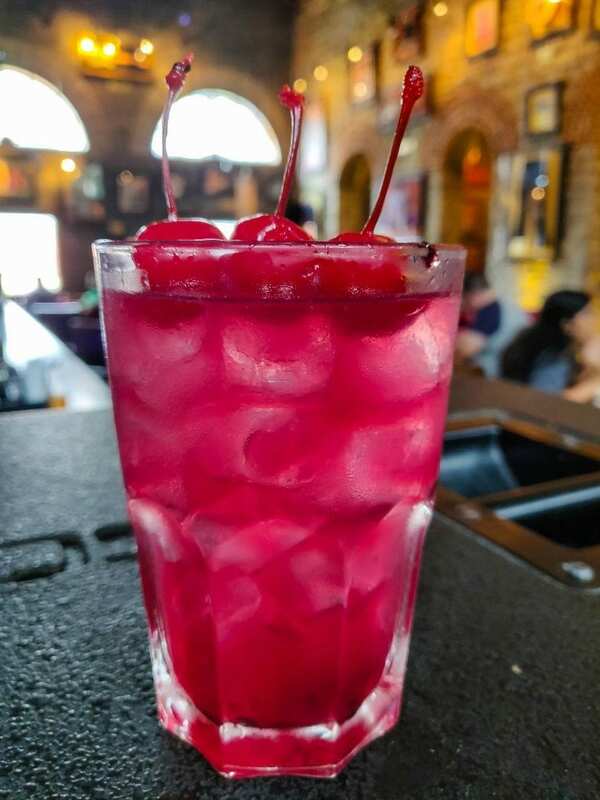 Amigo – Blueberry crush, Luxardo Sour cherry Liqueur, Tequila topped with three cherries. An amalgamation of bitter & sweet. Chief Madhu & Sanjit the GM of HRC Bengaluru were very courteous and helped us in selecting the dishes and explained each one of them. 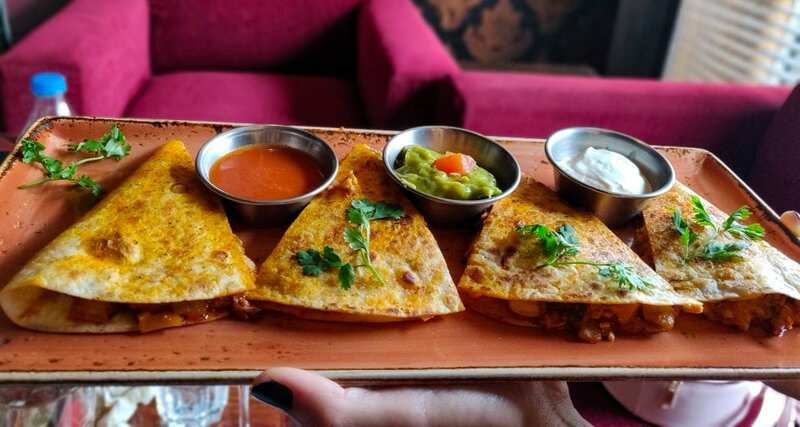 Though we were full at this point, they told us to not miss out on Carnival Chicken Quesadillas and top it up with some dessert, we never say no to food. 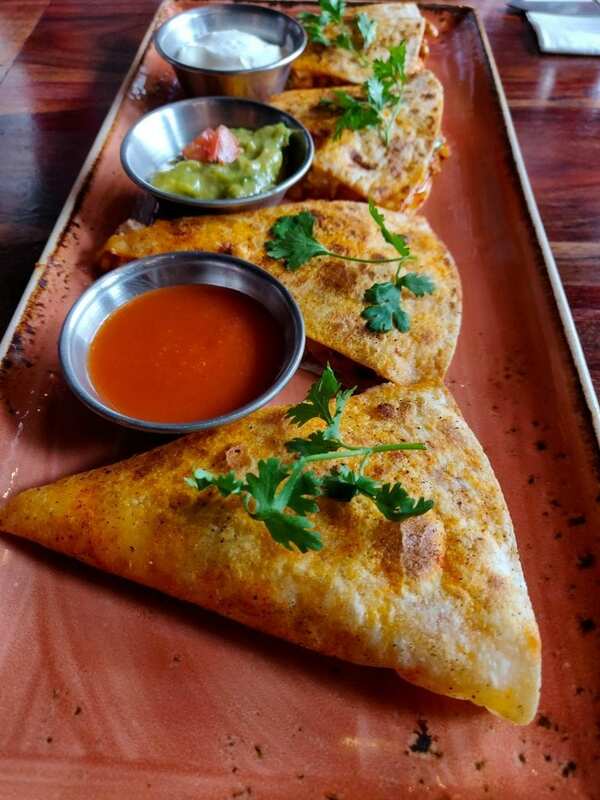 Carnival Chicken Quesadillas – Chicken al pastor, grilled pineapple, picante sauce, chipotle paste, mixed questo topped with cilantro served sour cream. Very light, tangy and appetizing. 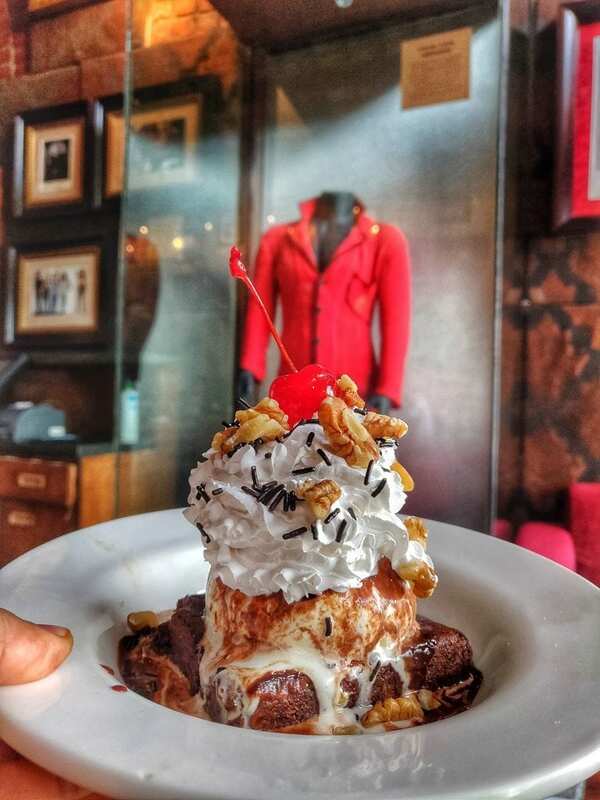 The dessert was Non-Mexicana, Brownie topped with Ice cream and fresh cream. The service is top notch, well-trained staff who knows everything about what’s on the menu. 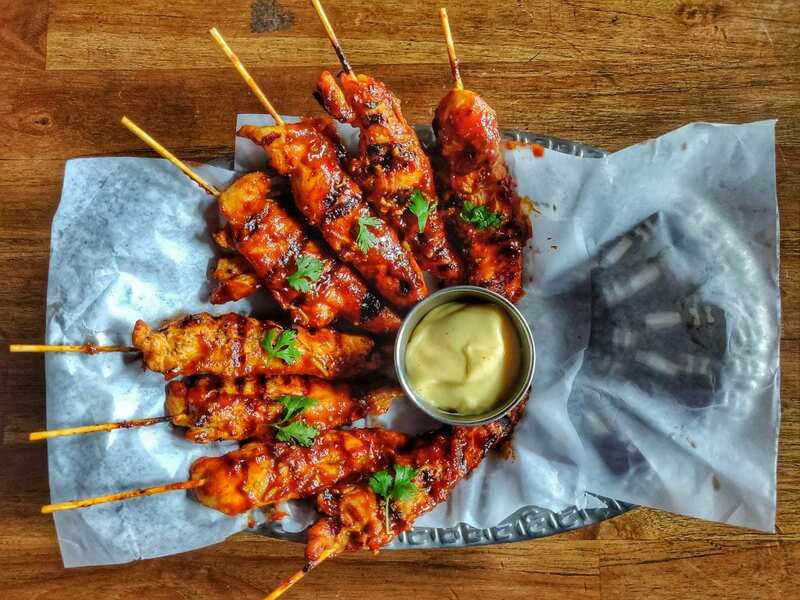 One of the very few places in Bengaluru which will never fail you. 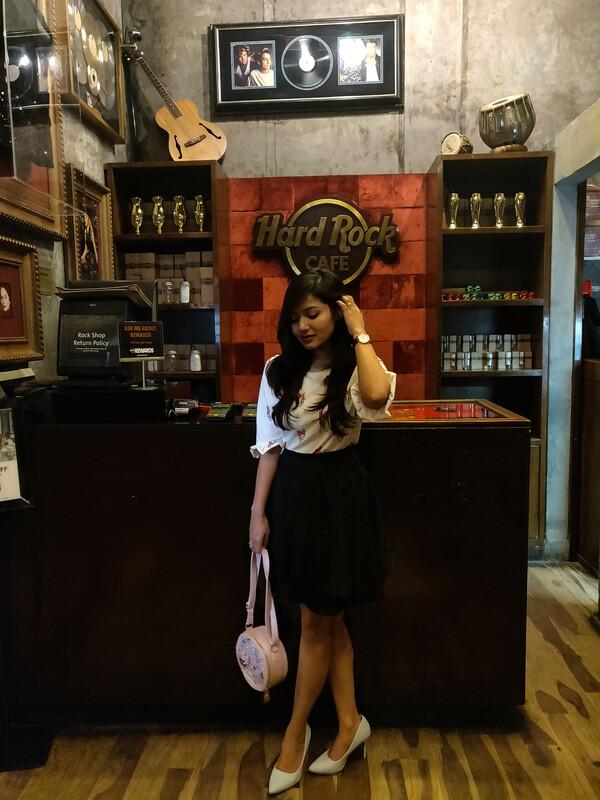 Right from the word go, Hard Rock Cafe ensures you have a great experience and they will ensure you have it. A great place to hang out with friends and family. 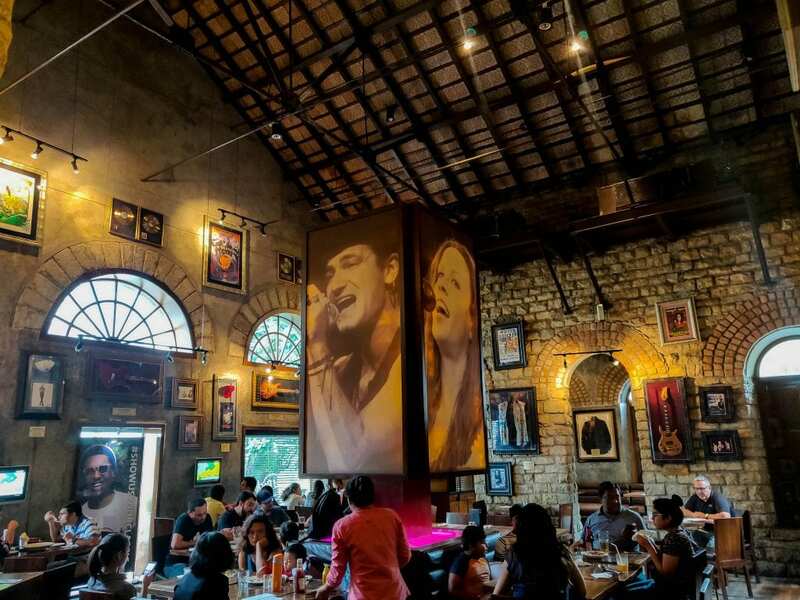 A go-to place for all the music lovers who enjoy live bands, Pop, Rock, and Retro. Once you visit, you will keep coming. Previous Post Meander in the Mist – Shola Crown – Resort amidst the misty mountains.